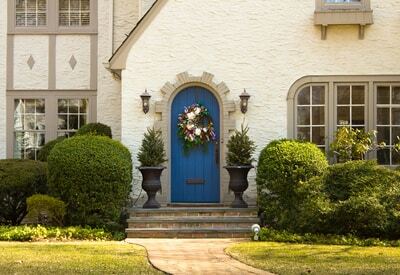 Boosting your home’s curb appeal doesn’t start and end with landscaping your front yard. When guests first pull up to your house, they’ll notice things like cleanliness, age and how the exterior compares to the homes around it. If you feel like your home needs a facelift, you have plenty of siding materials to choose from. Here are some of our top picks. As one of the most versatile siding material options, fiber cement siding has seen a spike in popularity in recent years. In the 1980s, the James Hardie® brand pioneered the fiber cement material used in home siding, and that’s why we at Allied Siding & Windows proudly feature their brand in our product lineup. This material can easily be customized to accurately mimic wood clapboard, shingles, stucco or panels. It can also come prefinished in a wide range of colors, so repainting isn’t necessarily a concern. 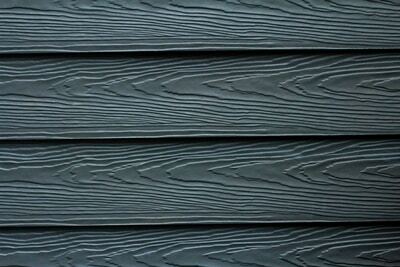 Fiber cement siding is virtually maintenance-free and resistant to pests and frequent weather changes. An exterior with this siding can last 50 years or longer when properly maintained. 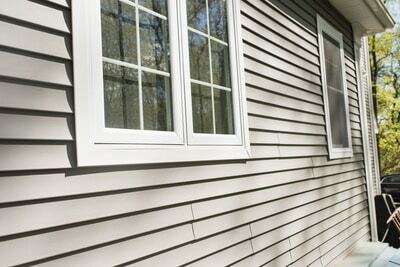 One of the most common and popular material for house siding, vinyl is weatherproof and durable. Vinyl siding is also low maintenance when compared to other siding materials — all you need to do is periodically rinse it down with a hose. While vinyl is a durable option, it can easily be damaged by extreme exposure to the sun or by hail. It also doesn’t have the same fire resistance as other siding options like fiber cement. Slate and stone veneer siding instantly adds natural beauty and rich color to any exterior. The material’s lightweight design makes installation easy and fast, and it requires little maintenance once installed. This type of siding can hold up for 30 or more years and can be recycled when it’s time for replacement. Fragility to environmental factors is this siding’s biggest downfall. If moisture gets trapped in the veneer and freezes, it can cause cracking. Vibrations from heavy traffic, tremors or earthquakes also has the potential to crack the mortar. 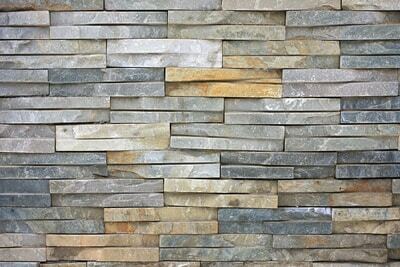 While slate and stone veneer siding is less expensive than real stone, it remains one of the costlier siding options. 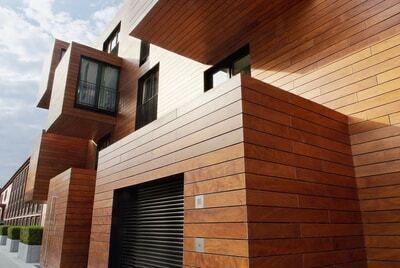 The timeless look of wood siding appeals to many homeowners. Unfortunately, this material has high installation and maintenance costs. When properly cared for, however, wood siding is a strong and long-lasting siding material, making the price worth it for many. Cedar and redwood are considered some of the best options for wood siding material because they are naturally resistant to decay and add a certain level of sophistication to your home. If you don’t mind the cost, wood siding is a surefire way to give your home some character. Much like fiber cement siding, stucco siding can last 50 to 80 years. Stucco is easy to maintain and stands up well to weather, fire and insects. For those interested in adding texture to their siding, stucco is a great choice because it can be formed to create decorative exterior enhancements. However, stucco isn’t perfect. In regions with frequent weather changes, the siding may crack as the home is in a near constant state of expanding and contracting. The popularity of metal siding has seen a sharp decrease in recent years, but for homeowners looking for a low-maintenance siding with a long lifespan, it remains an excellent option. Lightweight aluminum siding is an optimal choice because it can be installed relatively quickly and painted by the manufacturer. Keep in mind that dents and scratches are almost impossible to remove from metal siding. When it does get scratched, it must be immediately covered with exterior paint to prevent rust or corrosion. Brick exteriors are a beloved staple on homes across the country. 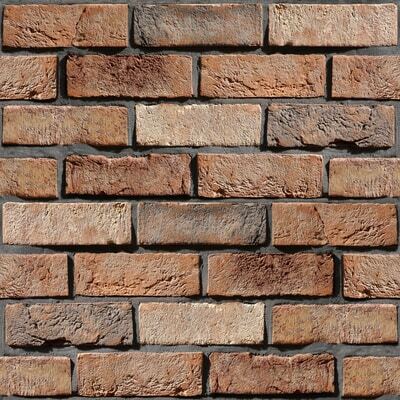 Luckily, we now have brick veneer that is easier and cheaper to install than traditional brick. Homeowners who are drawn to traditional styles will appreciate this material because it adds a certain level of timeless elegance that other siding can’t match. As with many siding materials, brick veneer does have a few drawbacks. It is slightly more expensive than wood or fiber cement and often suffers mortar cracks in areas where vibration is common. Moisture retention can also be an issue for homes in climates with heavy rainfall. 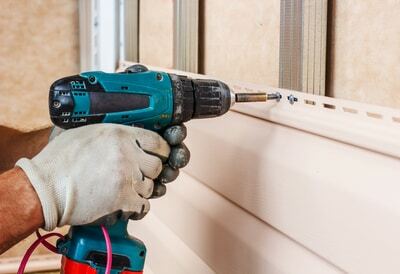 Are you ready to remodel your home’s exterior? Since our founding more than 30 years ago, Allied Siding & Windows has served more than 40,000 Texas homeowners with industry-leading products and labor warranties. When you choose us, you’ll receive exceptional value, brand-name products and service you will remember for years to come. For more information about our services, contact us online or visit one of our showrooms in Austin, Dallas or Houston! Your home’s exterior is the first thing people see when they arrive at your house, so you want to make sure it’s brilliantly designed and giving people a positive impression. Before settling on a style, consider these popular siding trends that’ll make your home stand out from your neighbors’. Contemporary homes place a lot of emphasis on minimalistic colors and architectural features. Though beautiful, these homes can appear cold and uninviting. Adding a warm shiplap siding accents the doors and windows and makes your home more welcoming. Craft a dazzling façade with unconventional combinations of siding materials. Apply a smooth, light-tone material to your home’s upper portion and a darker material like wood paneling near the foundation for a striking contrast. Clean lines and severe angles are in vogue. However, sometimes a home’s exterior needs a little something extra to help bring it to life. Pairing smooth panels with corrugated panels and luxurious James Hardie Artisan® lap siding can add beautiful and rich texture to any home. Traditional siding is preferred by some homeowners because it allows their home to blend in with surrounding properties and the environment. For beachfront homes, this could mean top-to-bottom James Hardie® shingle coverage, and for cottages, James Hardie shingles and lap siding painted in natural tones. Sometimes the most impressive feature of a home isn’t the siding, but the trim. It’s easy to highlight the architectural uniqueness of the house by pairing a bright white trim with unembellished, smooth lap siding. Small windows can detract from the appearance of a home by making it seem closed off. Make windows look larger by inlaying dark architectural panels to create depth that stands out against the rest of the home’s lighter-colored siding. If you’re a Texas resident whose home could use an exterior upgrade, don’t hesitate to contact Allied Siding & Windows. As a proud James Hardie® Elite Preferred Contractor, you’ll know you’re working with one of the best siding contractors in the industry. Browse our siding options online for more information about our services and stop by one of our showrooms in Austin, Dallas or Houston!